Toasted marshmallow smoldering over white flint and sandalwood harmonize with salty sea air and ocean spray. 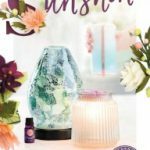 Available in our 2018 Scentsy Catalog! Shop here and have your items shipped directly to you without any wait. 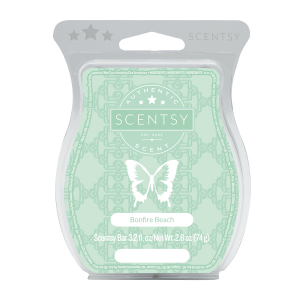 Pile up the driftwood and gather friends and family on the shore, building memories to share with the Bonfire Beach Scentsy Bar. 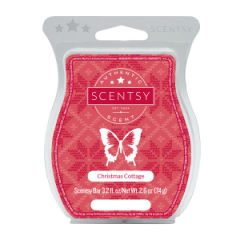 Sandalwood embers warm marshmallow to a bronzed brown, sweet and smoky, while a cool sea breeze plays and the salty splash of the ocean tickles your toes. As the stars begin to peek out in the sky above lean back against the white flint rocks surrounding the fire pit and dream of good times to come. Dripping with the sweet smell of melted marshmallows turning over aromatic sandalwood coals, this amazing Scentsy Bar recreates the aura of sitting on white flint boulders circling a seaside firepit, good friends sharing good times as the salty ocean waves crash and the brisk sea breeze fans the flames. Shop the current line of Bonfire Beach Scents below.